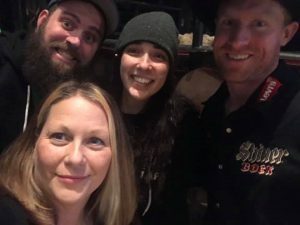 He didn’t ride on this night due to an injury, but we got the inside scoop on all things bull riding! At the time of this interview in January, 2019, he was ranked #54th in the world, and once he heals and competes the rest of this season, we know that he will rise through the ranks quickly. We talked about center of gravity differences between men and women, petting/scratching bulls, protective wear and regulations, what goes through his mind before he nods to the crew to open the shoot, what his dreams are for 2019, and so much more. It was my first interview with a real cowboy and I thoroughly enjoyed my time with Cody!